In the second part of Farmers Guardian’s in-depth look at TB, Abi Kay reports on the situation in Wales and asks how Government and industry is working together to tackle the scourge of bovine TB. Though TB in Wales is still a big problem for industry, with thousands of farmers suffering the emotional turmoil and financial hardship which accompanies the disease, there are reasons to be optimistic about the future. 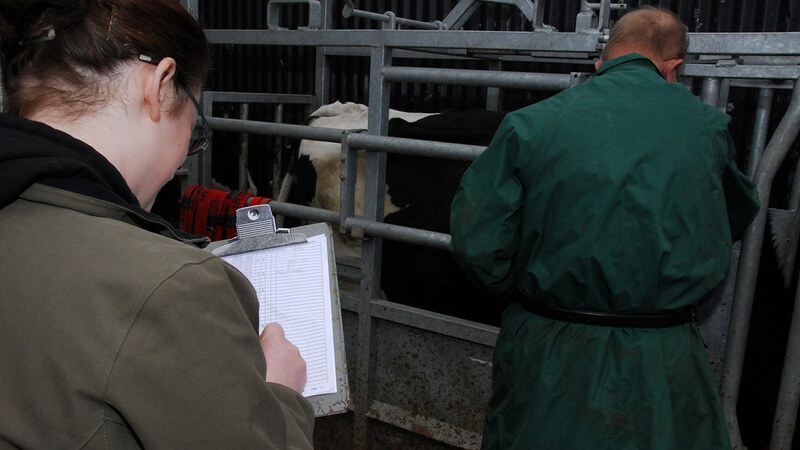 Since 2009 the number of new TB herd incidents reported in Wales has followed a broad downward trend, with the number of monthly cases dropping from about 100 to just over 60. It is hoped the establishment of low, intermediate and high TB areas across Wales, which came into effect in April last year, will continue to push incidence levels down by allowing the disease to be tackled in a more targeted way. But this new regionalised programme could only be introduced on the back of an eight-year-old policy to annually test all herds for TB. As well as helping farmers by providing information about the status of cattle up for sale, it also gave Government an accurate picture of the disease across Wales. Chief veterinary officer for Wales, Prof Christianne Glossop, said: “We have two parts of Wales which are high TB incidence, but the disease picture in those areas, Pembrokeshire and the borders, looks very different. TB SPECIAL: Can auction marts do more to stop disease spread? 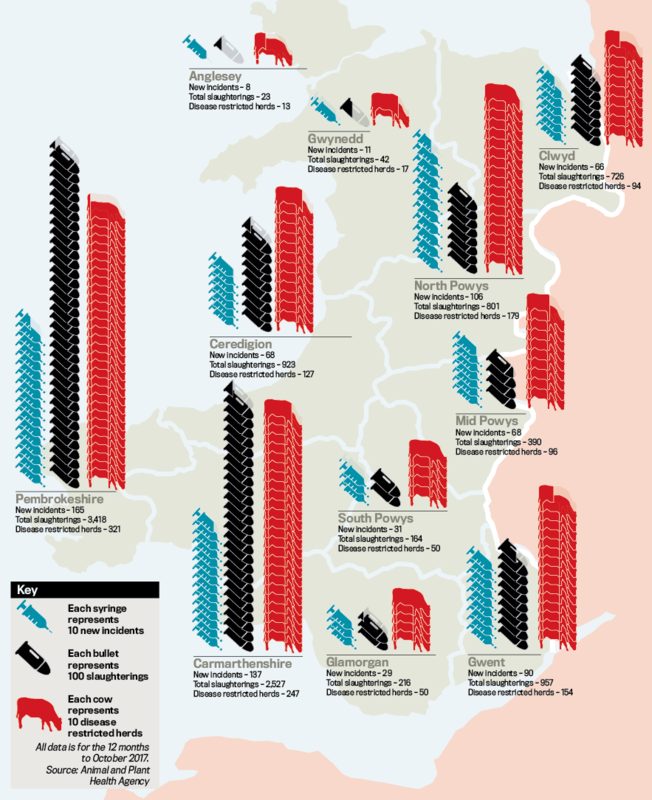 “In South West Wales, there is a lot of dairy farming and a lot of long-term herd breakdowns. There are big, complicated dairy herds with several sites and a lot of movement of animals between those. “Down the border, although we have some long-term breakdowns and there are some significant dairy herds, the key feature is not long-term breakdowns, it is recurring ones. The different policy responses to this complex disease picture are played out on-farm, with every farmer responding to a TB breakdown in his or her own unique way. “These policies will have a different impact on different farms,” Dr Fenwick said. “Some policies which make sense scientifically can be difficult economically. “Then there is the emotional side of things. We find people who are used to it are emotionally better equipped to cope with it. “Sometimes people feel like pulling their hair out after many years, but you get others who have never had the problem and they do not believe their cattle have TB." Powys farmer and Nuffield scholar Dafydd Saunders-Jones had similar experiences speaking to others about the emotional toll TB takes. “The thing which had the biggest impact on me was being sat at a table with four farmers, big men, built for rugby, and having them in tears in front of me,” he said. NFU Cymru Pembrokeshire chairman Jeff Evans has first-hand experience of how the disease affects farmers. He was forced to get rid of a suckler herd because of a three-year breakdown and has since taken a ruthless approach to inconclusive reactors, actively removing them from his farm. “There is an inability to plan ahead,” he said. “You think you are going to do something, but then suddenly you get TB and you have to change tack as you cannot sell your stores. Nowhere are divergent views on TB more clearly displayed than in the controversial badger cull debate. Mr Saunders-Jones said: “The thing which frustrates me most about TB is people getting obsessed with badgers. “If you go to the Royal Welsh Show, the media will always be saying ‘farmers want a badger cull’. So why is the issue so emotive? “You have got kids’ stories and wildlife programmes; people go to watch wildlife and have a connection to it,” Mr Saunders-Jones said. “It is not about a lack of explaining the issue,” he said. “People are detached from nature. They get their impression of the countryside from the internet or through Wind in the Willows. 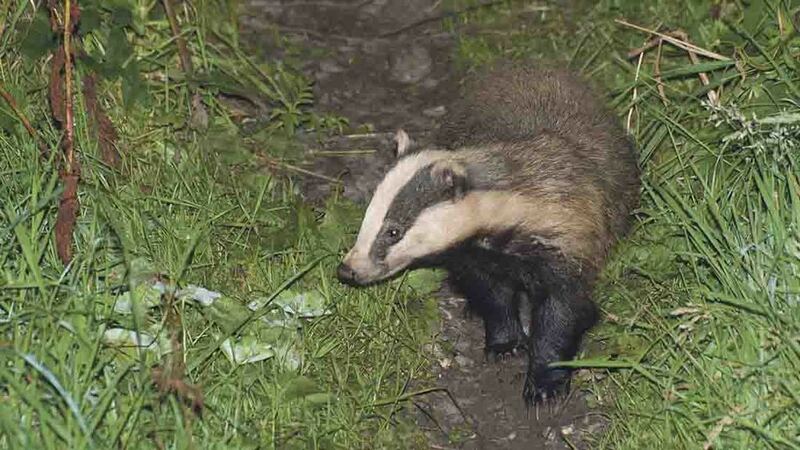 This divide between rural areas and urban areas, where politicians can hoover up most votes, has led to accusations the Welsh Government has used the badger cull as a political football. The 2007-2011 Labour-Plaid Cymru coalition agreed to carry out a cull in West Wales, but the position was reversed in 2012 when Labour decided to govern alone. In 2017, five years later, Rural Cabinet Secretary Lesley Griffiths announced a return to the policy. Prof Glossop insists she always believed a targeted cull was worth trialling and had presented the same evidence to successive administrations.